SeasonalFoodRecipes was formed to offer a unique reference point on easy to use seasonal recipes for everyone. Eating in season is good for us - and the economy. There's always someone in the papers preaching about food miles and local sustainability. But we're not here to climb up onto the soap-box. SeasonalFoodRecipes was created to help you to do something about it. We think everyone can - and should - be eating seasonal food. You don't have to abstain from supermarket shopping, and you don't have to grow your own. You can choose seasonal food wherever you shop and, using our database of recipes, turn it into season-suitable meals and desserts to make the family happy. Besides being cheaper and better for the local economy, seasonal eating makes natural sense. Eating food that's in season is naturally best for our bodies. In winter, British people eat carbohydrate-rich roots and dark, leafy cabbages - to fend off the cold and provide slow-release energy for typically slow, inactive days. In summer, when we're more active, lighter salad leaves and tomatoes provide nutrients without bulking us up. It makes perfect sense when you think about it. SeasonalFoodRecipes aim is to provide you with information and inspiration to enjoy seasonal food. It shouldn't be a burden - eating seasonally can be a real joy. We'd love to hear your views about seasonal food and the site. 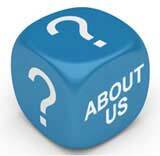 If you have any comments, questions or suggestions, get in touch with our experts via the Contact Us page. SeasonalFoodRecipes was founded by John Rowlinson, the founder of PtS. John, through PtS, is involved in a number of ventures including software and property companies. A percentage of revenue from these activities goes towards funding SeasonalFoodRecipes and a number of similar sites.